Fine china covered sugar bowl made in Poland by Wawel. 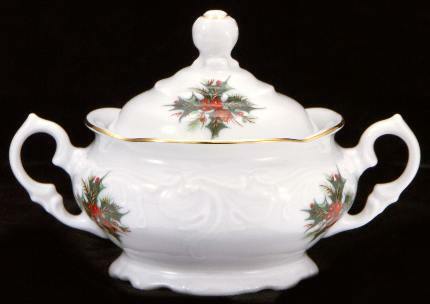 A gracefully shaped children's sized sugar bowl with lid featuring the Christmas Berry pattern. Five fluid ounce capacity. Hand-painted with gold trim.